“Everybody will know this tune,” says Michael Colina. “I created variations on this theme, making it a journey from fancy and cute to profound and triumphant.” Arguably one of the most famous Latin-American melodies ever written, it rose to prominence at circuses and fairgrounds, in part because it was one of the tunes available for fairground organs. Written in 1888 by Mexican composer Juventino Rosas, it was featured in the 1951 movie “The Great Caruso” and given different lyrics (and a new title “The Lovliest Night of the Year”). 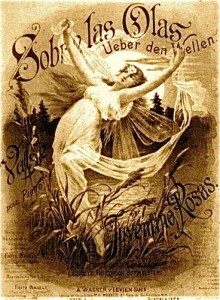 Tenor Mario Lanza’s recording of the song rose to No. 3 on the Billboard charts in 1951. Jacksonville music director Fabio Mechetti discussed the commission with Colina, asking him to create an organ concerto featuring the 6,215-pipe Bryan concert organ included in the Jacoby Symphony Hall. The premiere was given by Jacksonville on October 11, 2012, with Felix Hell as soloist.